I was never a big fan of Colombo. I did watch it. However I found the disheveled, cigar chomping, looking like he just rolled out of bed, wearing the same clothes he wore the day before, annoying. For some people, that was all part of his charm. That everydayness quality made him the guy next door. Colombo seemed to be the kind of guy who did not have a clue. You wondered, how the heck he ever made Lt. But you soon come to realize, underneath this rough exterior, he was way ahead in the game. The sloppy clothes, the clueless look were all a façade, at least the clueless look was, all distractions to throw suspects off. That said, there were two reasons why I would watch the show. There were many episodes that rose above the ordinary TV fare and second, Peter Falk. Falk always had a down to earth quality. Oh yeah, he also had some cool friends like John Cassavetes and Ben Gazarra (1). Created by William Levinson and Richard Link, Peter Falk made his first appearance as Colombo in 1968, in a made for TV movie called Prescription Murder. (2) The movie was one of two pilots for a potential series. Three years later, in March of 1971, the second pilot, Ransom for a Dead Man, was made. 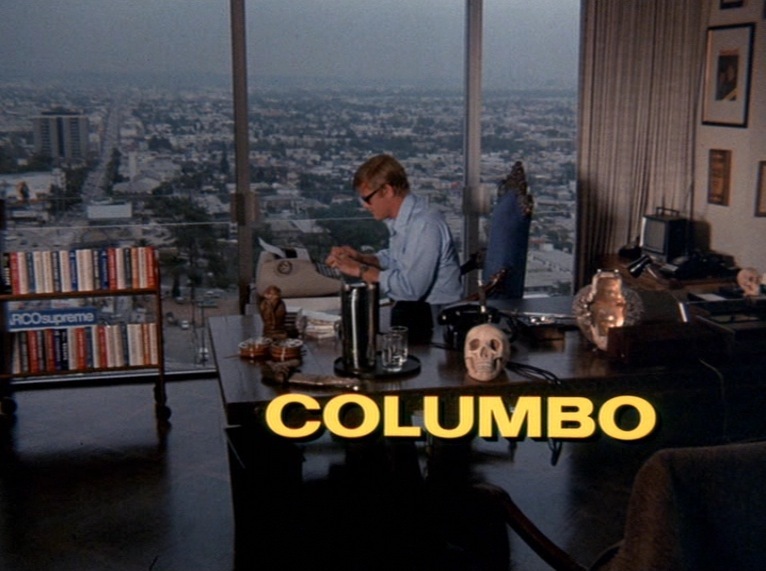 Some six months later, on September 15th, the series Colombo premiered on NBC as part of the NBC Mystery Movie in rotation with McMillian and Wife and McCloud. The first Colombo episode of that first season was directed by a young twenty-four year old wet behind the ears Steven Spielberg. The novice director was having a good year. He directed episodes of The Name of the Game, Owen Marshall, Counselor at Law, The Psychiatrist, a segment of Rod Sterling’s Night Gallery called Make Me Laugh and the first rate movie of the week Duel. That same year, the opportunity to direct the premiere episode of Colombo came knocking. Levinson and Link, also the creators of The Psychiatrist, were impressed with Spielberg’s work on Par for the Course, one of two episodes Spielberg directed for the series. I have not seen The Psychiatrist, it’s not available on home video, but from what has been written, Spielberg’s direction reflected a stylish maturity far beyond what was considered the norm on TV for the time. After being shown this episode, Peter Falk who was reluctant to go with an unknown gave up on any hesitancy he had with the still wet behind the ears youngster directing the first episode of the new series. Written by Steven Boccho, the plot deals with Jim Ferris (Martin Milner) and Ken Franklin (Jack Cassidy), the successful writing team of the popular Mrs. Melville murder mystery series. While they are a team, it’s Jim who does all the writing and Ken does the publicity. When Jim decides to break up the partnership and go solo; he wants to write more serious books, the debt ridden Ken decides to put a permanent end to Jim’s writing career altogether and collect on an insurance policy the two writers took out on each other. Right from the opening shots you know you’re not watching just another TV director at work. You first notice the opening soundtrack consisting of nothing but the sound of a typewriter clicking away. We are shown a series of shots establishing the setting and what is about to unfold. There’s an overhead shot of downtown Los Angeles. We then see the office of the writers where Jim is typing away. On the wall is a framed Newsweek magazine with the authors on the cover. We cut to Ken Franklin in his car. He pulls out a pistol from his glove compartment and puts it in his jacket pocket. Back in the office, Jim is finishing up the final Mrs. Melville novel. There’s a sudden knock on the door. Jim opens it and there is Ken with gun in hand pointing it right at his partner. It turns out to be a joke (or is it?). It’s a great opening and foretells what’s lie ahead. In this series of shots Spielberg has managed to evoke both a sense of style and tension, hooking the audience, within the first few minutes. 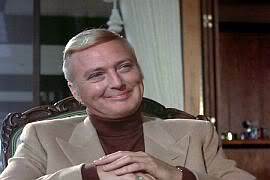 As Ken Franklin, Jack Cassidy emotes sleazy arrogance. He paints a picture of pure smugness. At one moment his face is filled with good-humored smiles and just as quickly it turns into a deadly looking murderous stare. His smooth sleek façade hiding his fatal intent. His plus in the writing team is he knows how to play to the media, something the more introverted and talented partner Jim does not do well. Cassidy gives an intriguing, entertaining and love to hate style performance that grabs you. Martin Milner’s role is small. His death comes early and, while vital to the show’s storyline, his role could have been played by anyone. Also in the cast is Rosemary Forsyth and Barbara Colby. Colby is especially interesting as Ken’s second victim. She plays a nervous fan who has information incriminating Ken to Jim’s murder. She naively idolizes Ken and foolishly trust him for which she pays dearly. Last but not least, there is Peter Falk as the rumpled raincoat, cigar smoking, awkward detective who beneath the façade is a Sherlock Holmes type genius. A master of deduction. Many of his traits are already there in this early episode; his forgetfulness, his constant pestering, (“oh, just one more thing”), the lulling of the suspect into a false sense of security. Murder by the Book may not be the best Colombo episode, it’s certainly is one of the better episodes, and it is one of the most stylish thanks to Spielberg’s visual instincts. His use of dolly and crane shots as well a hand held camera were not common techniques used in television back then. Steven Spielberg was a filmmaker even when working on the small screen. (1) John Cassavetes guest starred in and directed the episode Etude in Black. Ben Gazarra directed two episodes (A Friend in Deed and Troubled Waters). (2) The character of Lt. Colombo first appeared in a Levinson/Link short story published in the Alfred Hitchcock Mystery Magazine. In July of 1960, the short story was adapted for TV in an episode of the Chevy Mystery Show entitled Enough Rope. He was portrayed by an actor named Bert Freed. For more takes on Steven Spielberg check out the following fantastic blogs including in this blogathon. 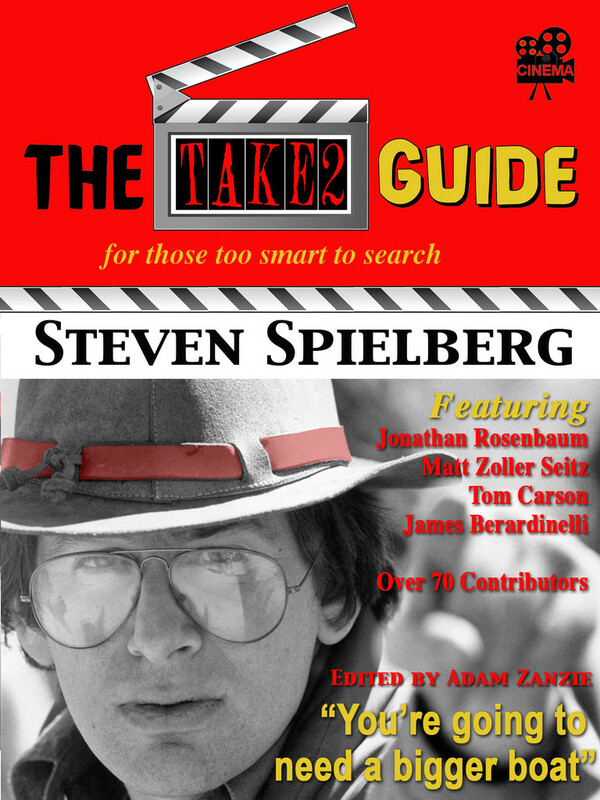 If you are an admirer of Steven Spielberg you also may be interested in a recently released e-book called The Take2 Guide to Steven Spielberg which includes an article by yours truly. It is available in all e-book formats at Amazon, Barnes and Noble, Kob0, Ibook Store or you can buy it directly from the publisher. The link below is to the publisher’s page which has links to all of the on-line stores where the book is available. At almost 1,000 pages, yes, you read that right, almost 1,000 pages, this massive book is a steal at $9.99. This entry was posted in 1970's, Steven Spielberg, Uncategorized and tagged Barbara Colby, Colombo, Jack Cassidy, Martin Milner, Peter Falk, Rosemary Forsyth, Steven Spielberg, television. John, I just watched this episode recently and thought it was one of the better episodes of season 1. 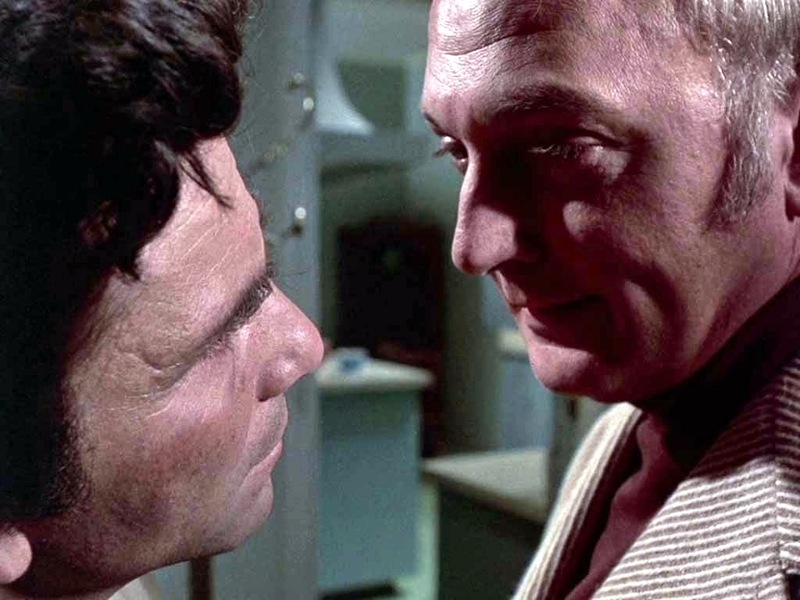 Jack Cassidy always played smarmy well and he was in his element as a killer who considered himself too much of an intellectual to be caught by the deceiving Columbo. Exactly Rick. Cassidy was at his best when he played smarmy. I have watched this a few times and it’s always a fun episode to take a look at. That was great…I saw this one a few years back my friend, and as soon as I saw the opening shot, I asked, “Who directed this episode?” Also, I just saw an episode that Gene Rowlands was in. Thanks Michael. They had a lot of good guest stars on the show which is always a lot of fun.. 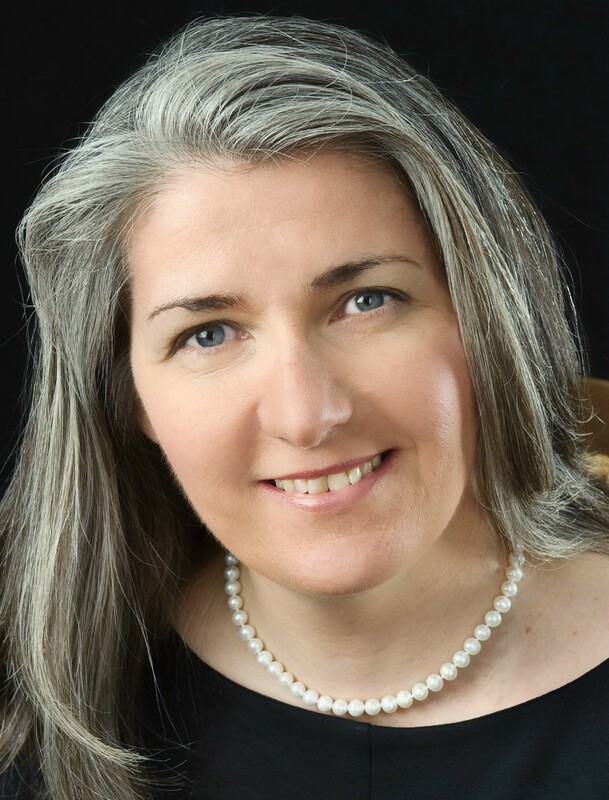 I meant to write I saw it “with my friend…” great post. 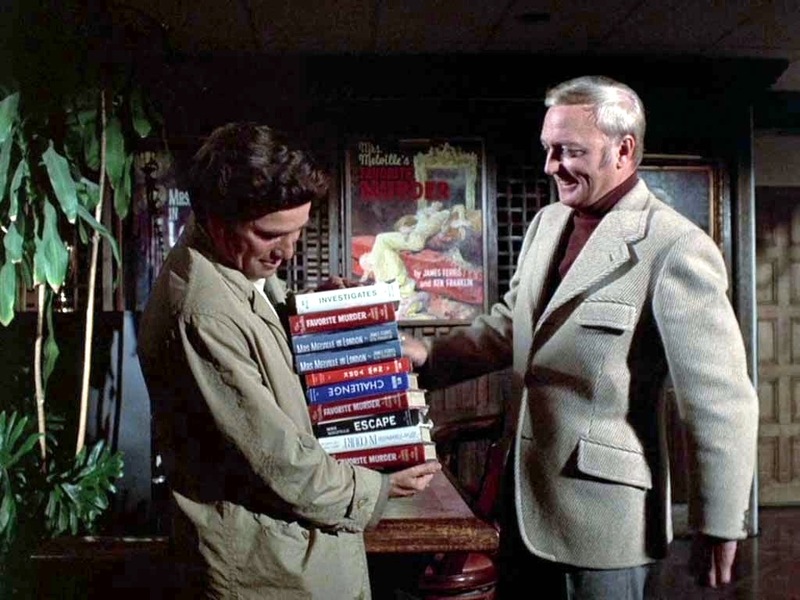 Yeah, I watched through all of Columbo this year (and I’m probably a bigger fan than you), but Murder by the Book is one of the most memorable of the whole series. Besides the brilliant setup, some of the shots– like the exterior of the theater– have stuck with me. Very stylish, and really lovely Hitchcock-ian homages. The show was kind of revolutionary with the Colombo character, as well as the fact, that you knew from the very beginning who the murderer was. It was never a who done it, we knew who from the very beginning. It was more like a chess game. Making the right moves until they got caught. Checkmate! Jack Cassidy was a marvelous character actor. Could do comedy and drama without a drop in quality, and excelled in the villain role. He did a number of Columbo episode movies and they were all great, this especially. Great write-up and contribution for the blogathon, John. Years ago, I admittedly did not like Cassidy. I found him annoying. But later on, I realized it was those same qualities that made him so perfect for these kind of roles. He was a great villain and as you say, he was good at comedy as well.